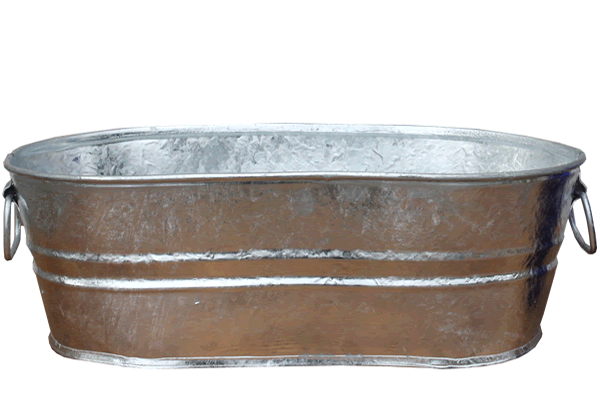 This attractive 4 gallon galvanized oval tub features a rugged hot-dipped finish, wire-reinforced rim, body swedges, and an offset bottom. These features drastically increase the lifespan of this rust-resistant 4 gallon galvanized tub. Drill holes in one tub and place it inside another of the same size to create a wonderful planter for small flowers or herbs. Or, you can fill this watertight tub with ice and up to 21 standard-size drinks for a decorative cooler at your next cookout. Round 4 gallon galvanized buckets are available in galvanized metal and 16 colors. 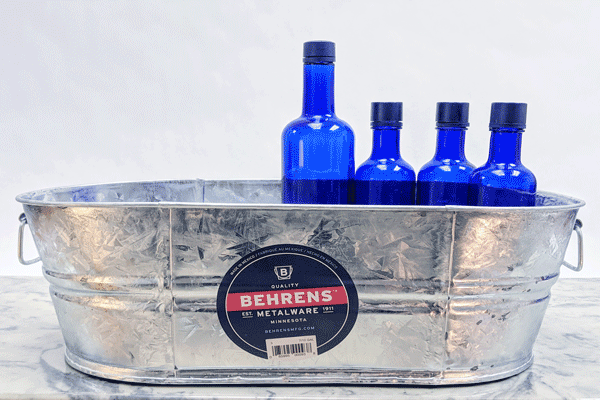 We also offer a 5.5 gallon galvanized tub if you are looking for something a bit larger.